Beer-Sheva, Israel Beer Sheva is one of the oldest cities in the world, a cradle of heritage and culture, that is being restored and revitalized. The water tower was a central building that served the Turks, the English, and the Jews. Originally the building served to supply water to the Old Railway Station, and its trains� steam engines. 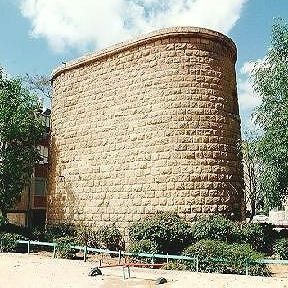 After the closure of the Station, and during the Jewish settlement of the city, the tower was used to supply water to the city.